I'm rushing spring. This is last years photo of an Osprey sitting in a gorgeous bald cypress. I took this from the Palm Island Boardwalk in Mt. Dora, FL. It reminds me of why I'm a treehugger, I (and the Osprey) certainly prefer this to another parking lot. This is so very lovely that it makes me want to walk right into the picture. thank you both for the positive comments. 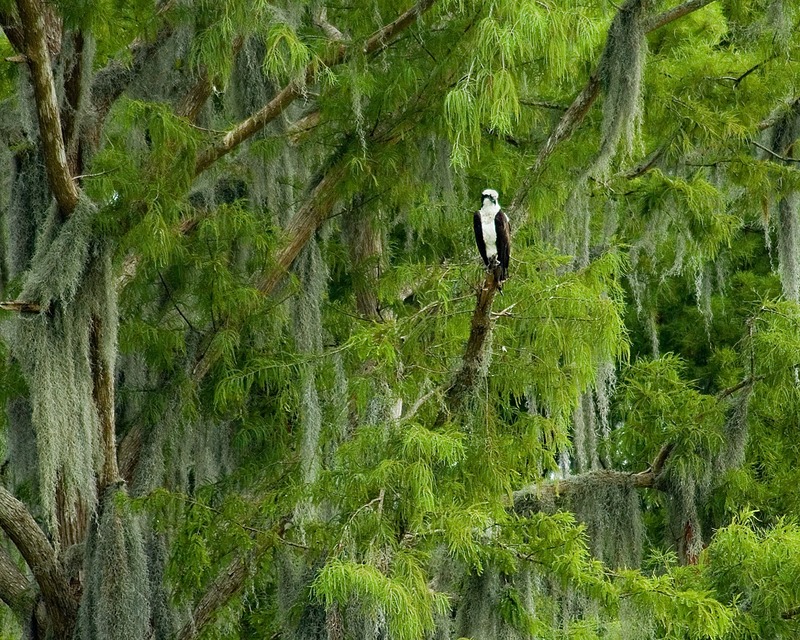 Two of my favorites came together for this photo - bald cypress and ospreys. I can't wait for spring when the cypress get their leaves back.